This questions can be so overwhelming to some new Cricut users that they fail to even take the machine out of the box. A Cricut machine is a big investment. I know that when I purchased my first machine, I had preconceived notions of all the things that I would create and do with my machine. Frustration set in when my expectations did not meet how my projects actually turned out. Turning the machine on and getting it set up is not overtly difficult for most users. But re-creating those projects that you may have in your head is often a different story. In my Cricut Facebook group, new users consistently ask, “How can I figure out how to use my machine?” Here is what I always recommend. First, do the sample project. New machines come with a sample project. The machines include a few small pieces of card stock to assist in completing this sample project. It is usually a simple card, and once the machine and Design Space are set up it will walk the new user step by step on the project. I always encourage new users to complete this project and not skip it. It will ensure that the machine is working correctly, plus give the new Cricut owner their first project under their belt! Secondly, pick a Cricut Design Space Make It Now Project to recreate. 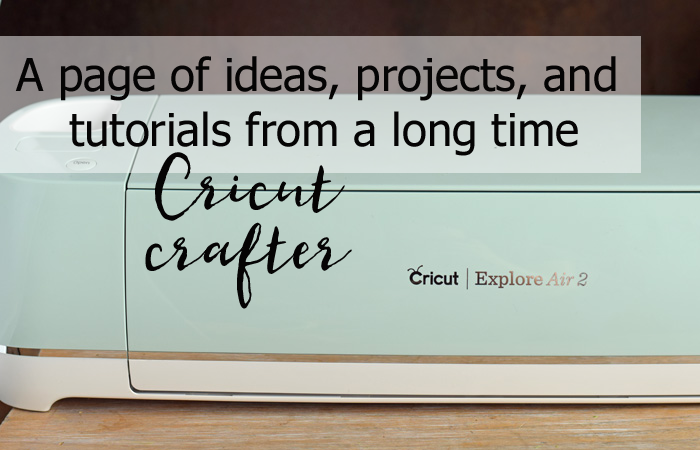 Cricut has Make It Now Projects that are already there to create within Cricut Design Space. There is a wide variety of projects from which to choose– anything from cards to vinyl projects. Choose a beginner project. Within the Make It Now project, you will see a supply list, as well as any assembly steps. Each Make It Now project is ready to cut within the system. Make the project from start to finish! This will serve a few purposes. 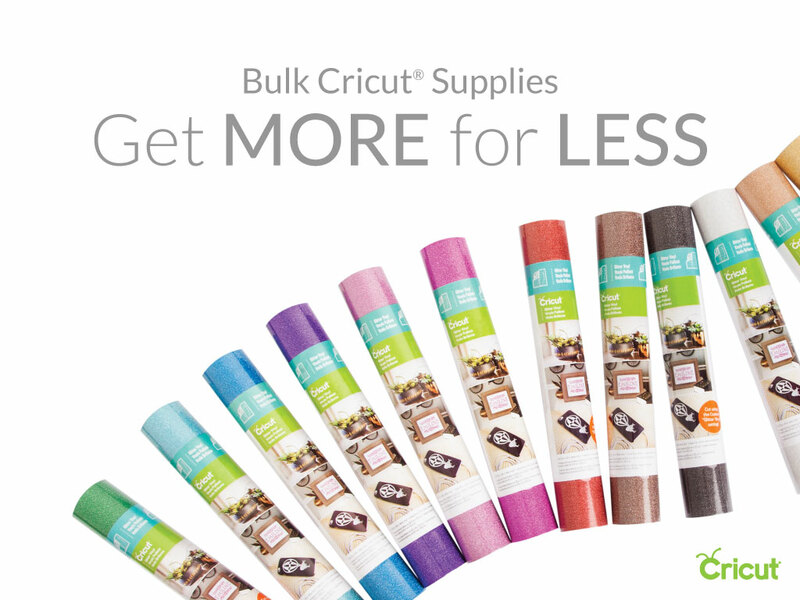 You’ll increase your Cricut and crafting supplies. You’ll have a second finished project accomplished. And, while the Make It Now Project’s intention is to help create easy projects, you will also have to figure out some aspects of the project yourself (loading the mat, switching the mats, etc.). Thirdly, Google a very specific Cricut project that you want to create. When trying to find a project, the more specific the better. For instance, do not Google “make a Cricut card.” Instead, try “How to Make a Cricut Birthday Card” or “How to Make a Halloween Child Shirt with the Cricut.” You may not find a project identical to the one that you have in your head, but you should find one that works. Once you find one that you like, make sure that it is a step by step Cricut tutorial. It should include a supply list and detailed instructions on how to make the project. There are many bloggers that share step by step Cricut projects. These are great places to find good tutorials. Follow the tutorial exactly to recreate the exact project. Once again, you’ll be gathering supplies, designing in Cricut Design Space, cutting the project, and assembling the project. After this, you will have three projects under your belt plus a small stash of Cricut supplies. At this point, these projects should have provided enough experience for you to begin creating Cricut projects on your own. If not, keep repeating Make It Now projects and Googled tutorials until you feel ready to tackle one on your own. 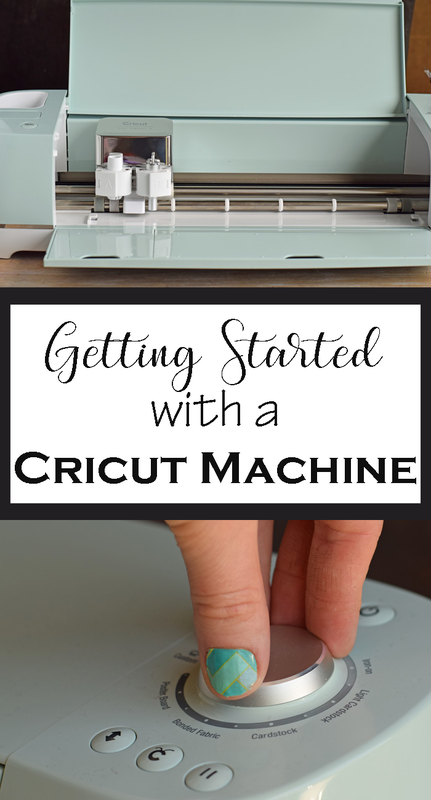 Are you looking for more Cricut related tutorials and tips? See my Cricut Project Page! Hi Melanie! This is just the right post for me today!! Last night I was again debating whether to try to use my Cricut Explorer Air that is still in it’s box from Christmas two years ago. I was thinking, “I wonder if Amazon would still return it?” Or, “maybe I can sell it to someone who might enjoy it.” I’m not sure if I’m intimidated by it or just worried I won’t use it as much as I thought for the amount of money spent. As a cardmaker, I’m now excited to get going!! Thank you for your encouragement and especially for the step by step process for getting started. It can be very intimidating to start, but once you jump in, you’ll be creating with it in no time! Trying to use it blindly can be difficult, that’s why I recommend following a few tutorials step by step before going rogue. 🙂 Happy crafting! If you can download them to your computer as a “font” then they will show up in Cricut Design Space as a font. If you enjoy fabric projects, the Cricut Maker is definitely the best choice. I’m having difficulty accessing the “Design space”site. I’m sure once I do a project or two I’ll enjoy my new Explore Air 2 but not being able to access the site is frustrating me and making me wish I’d never spent the money. FYI: I started my account then the next day couldn’t get back into it. I wrote down my password so I know that isn’t the issue and have received emails from cricut so know my email was correct also. I sent an email requesting a reset of password but haven’t received a link to do it. HELP!!! Hi, if you are unable to get into your account, I recommend contacting Cricut ASAP. You can use whichever of the options on this page that you prefer: https://home.cricut.com/contact-us I’ve used the “Chat” feature and the “Call Us” feature in the past and have received resolutions with both.